Happy Thanksgiving everyone! 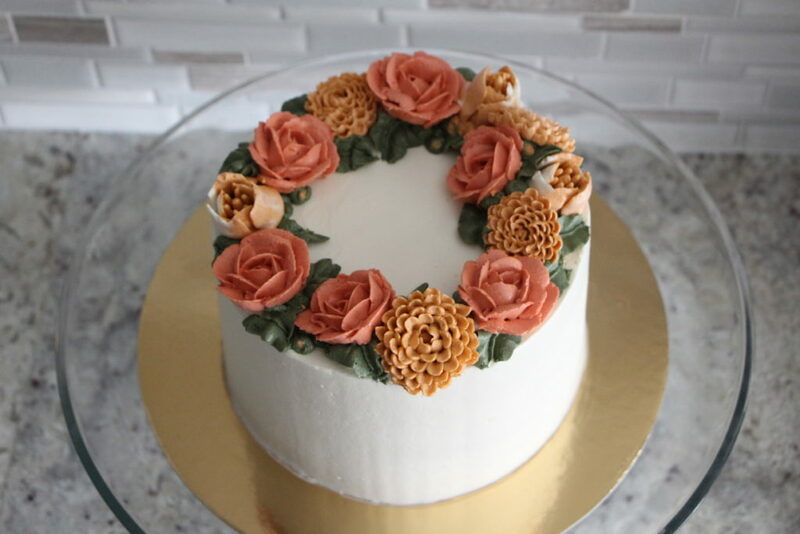 We stayed in town for a Friendsgiving celebration and brought this little cake to the potluck. 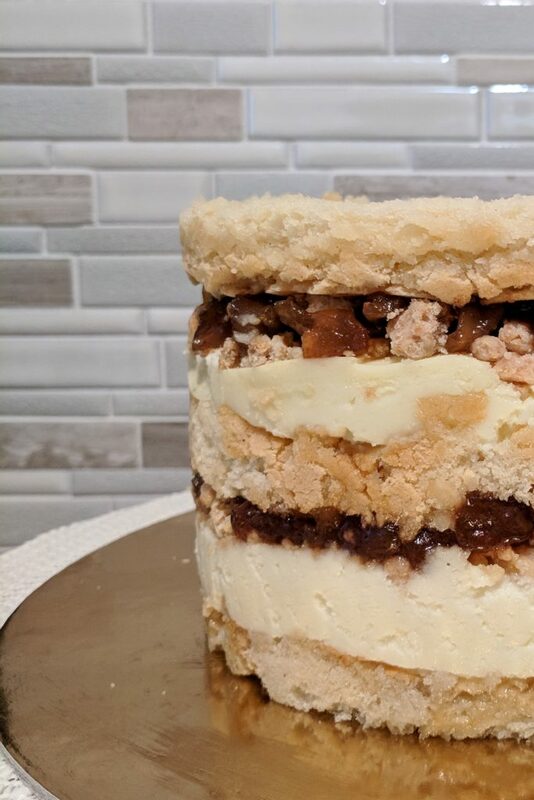 Inspired by a Momofuku Milk Bar recipe, this cake has cheesecake layers sandwiched between brown butter cake, with brown sugar apple compote and pie crumbs as filling. 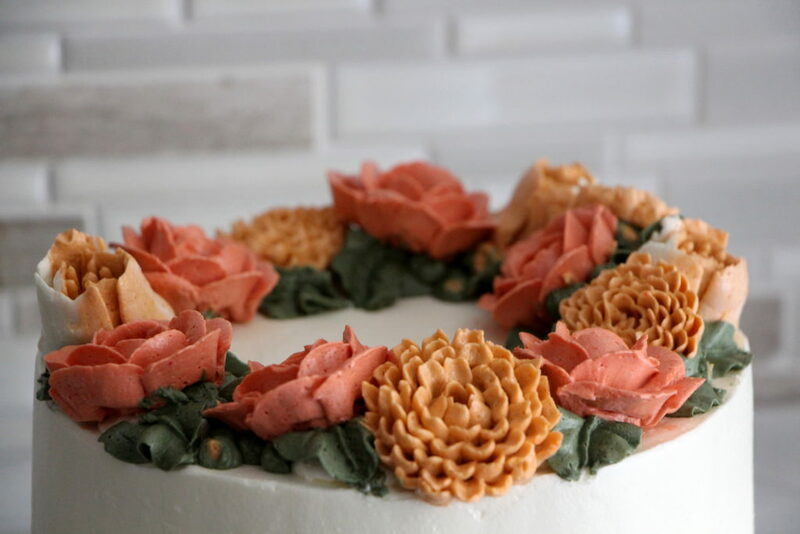 I coated with Italian meringue buttercream and decorated with buttercream flowers. My preferred apple for fillings is the Golden Delicious, as it has a nice sweetness and is able to cook down to a compote (or applesauce if cooked long enough). In other words, I feel like I can better control the texture. However, I couldn’t find any Golden Delicious at the grocery store this week, so I went with a mix of Granny Smith and Honeycrisp for a balance of tart and sweet. These apples are great for an apple pie, because the apple pieces retain their shape and structure, but less ideal in my opinion for a cake filling. The cake was still yummy, but the slices tended to topple over because neither the cheesecake nor the apple filling had enough “mush” to serve as glue. Would love to try this one again with a different type of apple next time!